DAVID LE/Staff photo. 5/23/15. 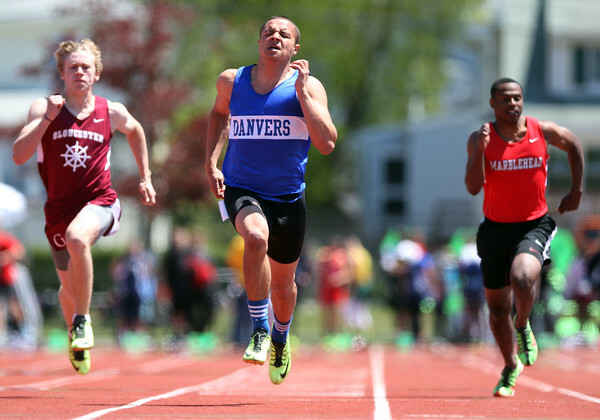 Danvers senior John Thomas blows away the field in his heat of the 100 meter dash on Saturday at the NEC Conference Meet.